Summer is here and there is so much to do in the Square. Grab a table for lunch in Occidental Square, catch a happy hour on one of our many outdoor patios, see something new at the First Thursday Art Walk, and support your neighborhood businesses. The 2016-17 Pioneer Square Map + Guide is now available! In addition to a full business listing update, this publication features neighborhood highlights for touring visitors. The full guide is available online. Email us for a supply to distribute from your business. Pioneer Square is highly impacted by the construction of the Alaska Way Viaduct and surrounding projects. We all look forward to the day our neighborhood is reconnected to the waterfront . An alternative plan, called “A Waterfront for All” and spearheaded by a local activist, will be on the August 2nd ballot as Initiative 123. This confusing initiative moves a public project into private control, reconstructs existing infrastructure, and comes with no funding. For more information visit VoteNo123.com or check out the SLOG. 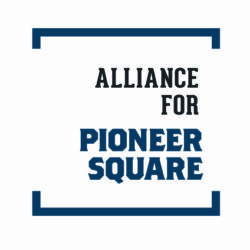 The Alliance for Pioneer Square is a proud cultural partner of the Seattle Art Fair, a unique and innovative art experience showcasing the vibrant culture and diversity of the Pacific Northwest. 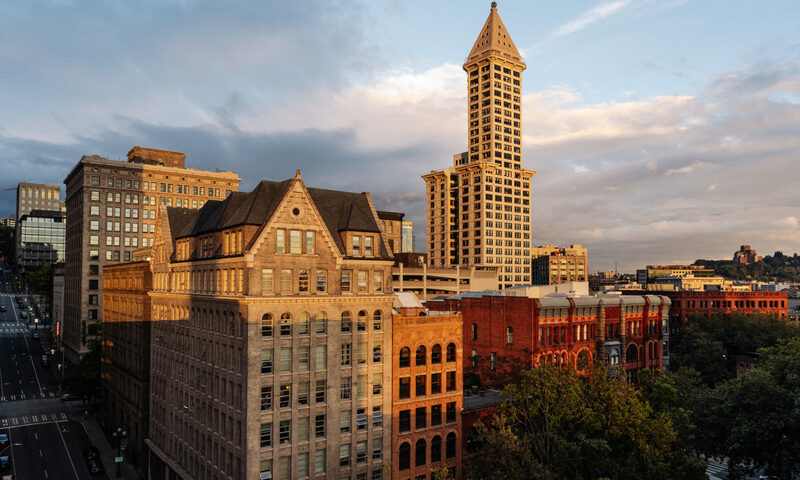 Taking place August 4-7 at CenturyLink Field Event Center, the fair features over 80 local, regional, and international art galleries presenting top-tier modern and contemporary art. As a cultural partner of the Seattle Art Fair, we are pleased to offer you exclusive access to discounted Opening Night Tickets ($35 instead of $50) and 2 for 1 Fair Passes (multi-day tickets). Redeem this exclusive ticket offer here. First Thursday speaker series continues. While Bertha continues her journey from SODO to South Lake Union, trees, plants, and flowers are already growing at the finish line! Landscape architect, Katey Bean, will talk about the design of the landscape at the tunnel’s north end and how it pays homage to the indigenous landscape that used to exist in this part of Seattle. After the talk, be sure to leave enough time to explore the rest of the First Thursday Art Walk in Pioneer Square. Milepost 31 is open Tuesdays through Saturdays from 11 a.m. to 5 p.m., and stays open until 8 pm on First Thursdays. Free parking is available for First Thursday art walk patrons in Pioneer Square. Please visit www.FirstThursdaySeattle.com for more information about participating garages.